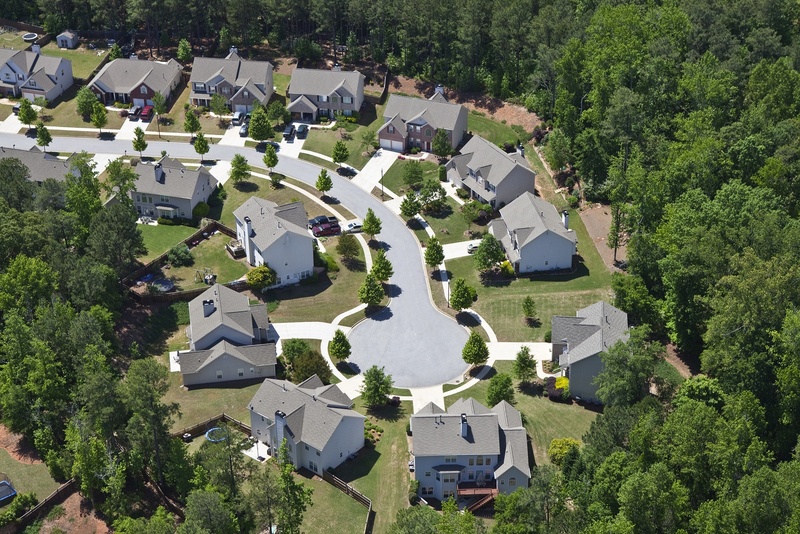 Are There Ways to Lower Your Gwinnett County Property Tax? Property taxes have been increasing for decades in many areas. It’s a natural thing to wonder if there are any ways that you could lower your Gwinnett County Property Tax bill. But wondering only gets you so far. So, where do you get the answer to the question, “Is there any way for me to lower my property tax bill?” How about right here. We’re going to go over some options that could potentially save you some money. There are homestead exemptions that you might qualify for that will save you money on your Gwinnett County Property Tax bill. These exemptions make it where a portion of your property’s value is considered untaxable, which then makes the amount of property tax you’re charged less. Homestead exemptions will apply for people who live in a home all the time. The home has to be their primary residence to qualify. There are exemptions that cover seniors who are over 65 years old or between the ages of 62 and 64. Homeowners are disabled at 100% will qualify for one these exemptions, as well as spouses of military members, firefighters or peace officers who died in action that have not remarried. You have to make sure to apply for one of the homestead exemptions by April 1 for it to apply to this year. There may be a request for you to supply more information or documents pertaining to the reason for the exemption application. The faster you are at getting everything into the office, the quicker your exemption will be applied to your Gwinnett County Property Tax file. It’s ok for you to do a little digging into what your home is really worth. If you can find some evidence that supports a different value of your home that is lower than what the assessors’ office has, then you may be able to prove that, thus lowering your Gwinnett County Property Tax amount. Look at appraisals you’ve had done and compare those to the appraisal on file with the assessors’ office. You can also look at sales of other properties similar to yours that have sold in the area recently. You’ll need to have more than one sale that supports your claims that your residential or business property is worth less than what the assessor valued it at, but if you can find multiple instances where a similar property was sold for less than the value that was assigned to your property, then you may very likely be paying too much for your Gwinnett County Property Tax. Contact your Gwinnett County Assessors’s Office and make a request to see the property card for your property’s location. This will let you see what data and details were used to make the assessment of the value of your property. In some cases, you could find that the data is not correct. Don’t think that the assessor did this on purpose. That’s not going to be the case in most situations. It could be that something has majorly changed on your property that hasn’t been updated in the file. It could just be a clerical error. Whatever the reason is, you’ll certainly want to get the correction made so that your Gwinnett County Property Tax bill is correct, and you’re not paying more than you should be in taxes. Once you’ve discovered that there’s a reason why you think your property taxes are too high, something other than you just wish they were lower, then you have the grounds for an appeal of your Gwinnett County Property Tax assessment value. You can’t file an appeal without having good reason to do so, but appeals are expected and the process has been built into the County’s system so that you can assert your right to file one. You’re going to need to gather the evidence that you came across in your quest to find out why your property taxes are higher than you think they should be. You’ll want to act fast too because you only have 45 days from the date of the notice you receive in the mail to get your appeal submitted. You can submit your appeal online through the Gwinnett County website, or you can manually submit it through the mail. There is a form that you can print available on the website and the address is given there too. After your appeal has been reviewed by the necessary officials, you will be notified of their decision. An amended notice will be provided for you to look at in cases where any changes were made. You have the choice to accept that amended value or reject it. You can submit your decision online also. If you should choose to reject the amended value, there is an appeal continuance form online that lets you push your case further up the chain to the Superior Court. It’s important for you to remember that if you are making a reasonable claim, but you don’t have the evidence that supports that claim, there’s a good chance that you’re appeal will be denied. You can go through the appeals process on your own. You don’t have to have any help to get your Gwinnett County Property Tax assessment appeal submitted and reviewed, and in some cases you’ll do great and you’ll get the outcome you’re looking for. But this process can be tedious and can get tedious and stressful. Working with an expert on your appeal can help take most of the stress off of you and gives someone else all of the tedious work to do. The professionals at Fair Assessments, LLC have been at this for a long time. They’re years of experience will help make your appeals process go smoothly and take as little time as possible. Contact an expert today to discuss your appeal with a highly skilled specialist.